Deputy Minister of Religious Affairs visits burgeoning religious school in 'secular' Tel Aviv, indicating growing religiosity. Deputy Minister of Religious Affairs Eli Ben-Dahan (Jewish Home) on the first day of classes Monday visited the “Reishit” school in Tel Aviv, a rapidly growing religious school in the traditionally secular city. At the school, located in southern Tel Aviv, Ben-Dahan spoke before hundreds of students. Reishit boasts some 400 students, the highest number in its history. If the students "work hard they can get to anywhere they want. Any one of you can be an IDF general, a rabbi, minister, or director of a large company," remarked Ben-Dahan at the school. "We need faith in religious and state matters." "You are beginning your studies with mutual assistance, faith and the security that Israel belongs to us. With our faith we will defeat our enemies,” added the deputy minister. 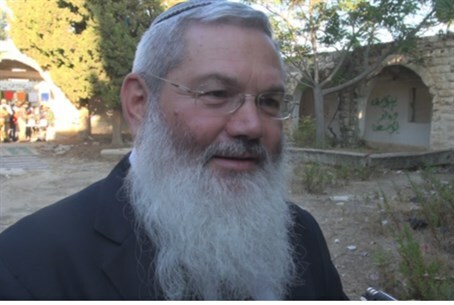 According to Itai Garnak, head of the 'Zehut' Jewish values organization, there has been a “meteoric” rise in the number of students enrolled in religious state schools in Tel Aviv this year. "We opened two first grade classes in all six religious elementary schools in Tel Aviv," he said. "There has been a real sprouting of religious education in the city this year." Garnak said that many of the students are “refugees” from state secular schools who are now attending the religious schools as their families become more observant. According to school officials, 80% of the students will take state matriculation (bagrut) tests at the conclusion of their high-school careers.